Rolf Knight has been a brave and under-heralded historian and a steadfast enemy of the notion that there exists such a phenomenon as the common man. He received the George Woodcock Lifetime Achievement Award in 2017. Born in 1936, the son of an itinerant cook, Knight grew up in B.C. logging camps, gained his M.A. in anthropology at UBC in 1962, and a Ph.D. from Columbia University in 1968. Knight's career path changed when he collaborated with his Berlin-born mother in A Very Ordinary Life (1974) to trace her difficult life from Germany to goldpanning in Lillooet and on to a succession of upcoast logging camps. After its release, Knight left his teaching job at SFU, disaffected by the narrowness of his fellow academics and the ignorance of his students. Knight drove a taxi in Vancouver, simultaneously producing a string of books that dignify, and show the complexity of, the so-called working class. Knight's writing often bristles with impatience at shallow or conventional attitudes. Rolf Knight also wrote or co-authored Work Camps and Company Towns in Canada and the United States (1975), A Man of Our Times: A Life-History of a Japanese-Canadian Fisherman (1976), Stump Ranch Chronicles and Other Narratives (1977), Indians at Work: An Informal History of Native Indian Labour in British Columbia 1858-1930 (1978), Along the No. 20 Line: Reminiscences of the Vancouver Waterfront (1980), Traces of Magma: An Annotated Bibliography of Left Literature (1983), Voyage Through the Mid-Century (1988) and Homer Stevens: A Life in Fishing (1992). One of B.C. 's foremost oral and labour historians, Rolf Knight has been a steadfast enemy of the notion that there exists such a phenomenon as the common man. The son of an itinerant cook, he was born in 1936 and grew up in a succession of B.C. logging camps during the 1940s and 1950s. He gained his B.A. from the University of British Columbia in 1959 and his M.A. in anthropology at UBC in 1962. He received his Ph.D. from Columbia University in 1968. He taught at both Simon Fraser University and the University of Toronto. In 1974 he collaborated with his mother to trace her difficult life from Berlin to Lillooet goldpanning onto a succession of upcoast logging camps. His mother Phyllis died in Burnaby at age 76, shortly after their book called An Ordinary Life was finished. In 1977, Knight left his tenured position, disaffected by the narrowness of his fellow academics and the ignorance of his students. He returned to drive a taxi in Vancouver, simultaneously producing a string of books that dignify, and show the complexity and sophistication of, the so-called working class. Knight remained angry about stereotypes, romanticization of labour and other invisibilizing forces of mainstream history. "It is time that the generations of Indian loggers, longshoremen, teamsters, cowboys, miners (farmers), fishermen and others who labored in virtually every primary industry...were recognized,"; he wrote in Indians at Work. "Wage work in the major industries...has been an intimate feature of Indian lives for five and more generation. "; Indians at Work is a wide-ranging study, with an excellent bibliography, and it often bristles with Knight's impatience with shallow or conventional attitudes. "One of the great misconceptions of native Indian history in BC," he writes, "is the vision of a golden past age. In this view, indigenous societies on the North Pacific coast existed in a veritable Garden of Eden where ready-smoked salmon flanks launched themselves, glittering, from the streams into trenches of salalberry and oolichan sauce, where a superabundance of foods was always and everywhere available with the merest of effort; a veritable land of Cockaigne. In such accounts, wars and raids were mainly rough games for prestige, slaves were not really slaves, chiefs were the servants of their people, all necessities were shared, and settlements were rife with cooperation and equity. Spiritualism and traditions reigned supreme and almost everyone was part of one big family.... Popular conceptions generally disregard or gloss over considerable evidence of suffering, hardships, and oppression between and within the indigenous Indian societies. While this is not a justification for the varied inequities which followed in the wake of European settlement, it should remind us that native Indian societies did not witness a fall from natural grace at the arrival of Europeans. Given the fantasies about the native past which now pervade the mass media, and even public education, the above point cannot be made strongly enough." In 1992 Rolf Knight received the Canadian Historical Career Award for Regional History. He returned to print with a biography about Homer Stevens, leader of the United Fishermen and Allied Workers Union. With nine books to his credit, he remains one of the most under-recognized historians of B.C. [For other authors writing about labour in British Columbia, see abcbookworld entries for Bains, Hardial S.; Baird, Irene; Belshaw, John Douglas; Bennett, William; Bergren, Myrtle; Bernard, Elaine; Braid, Kate; Brodie, Steve; Brooks, Carellin; Culhane, Claire; Diamond, Sara; Doherty, Bill; Dunaway, Jo; Edge, Marc; Griffin, Betty; Griffin, Harold; Hanebury, Derek; Hill, A.V. ; Hinde, John R.; Hoar, Victor; Homer, Stevens; Howard, Irene; Howard, Victor; Latham, Barbara; Lazarus, Morden; Leier, Mark; Lembcke, Jerry; Liversedge, Ronald; Lowther, Bruce; MacKay, Charles Angus; Magee, Catherine J.; Mann, Geoff; Mayse, Susan; McEwan, Tom; McMaster, Lindsey; Merkel, Robert; Munro, Jack; North, George; O'Hara, Jane; Palmer, Bryan D.; Parnaby, Andrew; Perry, Adele; Phillips, Paul; Robin, Martin; Schwantes, Carlos A.; Seager, Allen; Stanton, John; Stewart, Mary Lynn; Stonebanks, Roger; Swankey, Ben; Sykes, Ella; Tranfield, Pam; Tyler, Robert; Waiser, Bill; Warburton, Rennie; Wayman, Tom; Wejr, Patricia; White, Bill; White, Howard.] @2010. Knight, Rolf & Phyllis Knight. A Very Ordinary Life (New Star, 1974). Knight, Rolf. Work Camps and Company Towns in Canada and the United States (bibliography, 1975). Knight, Rolf & Maya Koizumi. A Man of our Times: A Life-History of a Japanese-Canadian Fisherman (New Star, 1976). Knight, Rolf. Stump Ranch Chronicles and Other Narratives (New Star, 1977). Knight, Rolf. Indians at Work: An Informal History of Native Indian Labour in British Columbia 1858-1930 (New Star, 1978, 1996). Knight, Rolf. Along the No. 20 Line: Reminiscences of the Vancouver Waterfront (New Star, 1980; Re:release New Star 2011). Knight, Rolf. Voyage Through the Mid-Century (New Star, 1988; Re-release New Star 2013). Knight, Rolf & Homer Stevens. Homer Stevens: A Life in Fishing (Harbour, 1992). Fifty tears ago when Homer Stevens was 19 his uncle John said, "One of these days soon I'm going to have to take you down to a meeting of the United Fishermen's Union in Vancouver. It's run by a bunch of Reds but they're pretty good people. The invitation was a turning point in the life of the young fisherman who grew up in the multilingual community of Port Guichon in the Fraser River delta, one member of an extended family who argued constantly about affairs of the day. Within four years of that meeting Stevens was a full-time organizer for the United Fishermen and Allied Workers' Union, running from "float to float, man to man"; signing up new members. He later became president of the union and shepherded its members through the arduous Cold War years. The log of his travels up and down the B.C. coast paints a detailed picture of life in busy fishing ports and canneries from the Depression years to the present. During his term as president he led the 1967 strike of Prince Rupert fish Workers, spent a year in jail for contempt of court, and headed a drive to organize Nova Scotia fishermen. He also had to relearn, after years of union work, how to fish in a modem and very different salmon industry. "If someone were to ask me 'Would you do it again? I'd say 'Yeah, I'd do it again'," says Stevens. "I'd try to do it better if I could, but I'd be willing to tackle it. "; Over the past 20 years Stevens corresponded with Vancouver anthropologist and writer Rolf Knight. Each time Knight published a book he mailed a copy to Stevens who in turn wrote back a note of thanks and detailed responses to the topic. Knight saw in Homer Stevens a kindred spirit. Like the union leader, Knight grew up in the resource towns of B.C., and, in spite of his university education, identified strongly with working people. His books mostly oral histories included A Very Ordinary Life, Work Camps and Company Towns, Stump. Ranch Chronicles, A Man of Our Times, Along the No. 20 Line and Voyage through the Mid-Century. "I've known of Homer since I was a child and a young man," Knight says, "and he always struck me as the image of the incorruptible and decent union leader." In 1986 Knight proposed the idea of a book on Stevens' life to him. The two soon agreed and began taping. It was to be a major undertaking. "In all my other histories my job was to stimulate people to get them to remember," Knight says. "I would assure them what they had to say was worthwhile, and draw out all that hidden information. With Homer he's a very loquacious guy. I would ask one or two questions and he would talk for two or three hours." Stevens almost overwhelmed Knight with detailed reminiscences. The flow of words provided Knight with 90 hours of interviews, which Knight transcribed prior to compiling the book. Knight was so concerned about accuracy that he took the first draft of the manuscript up to Stevens' home on Lasquiti Island and "read every word of the book aloud while he listened, mending his nets, and interrupting me occasionally with 'That's not right' or 'That's Telegraph Cove, not Telegraph Bay'." The result is Homer Stevens: A Life in Fishing (Harbour $29.95). The oral autobiography is both a history of the B.C. coast and the portrait of a complex man. Says Knight, "Here is an account of a person who represents an amalgam of different peoples his ancestors were Croatian, Finnish, Greek, Native -but Homer's radicalism was very much indigenous to British Columbia." In Voyage Through the Past Century, we have Knight's autobiographical account of his far-from-ordinary past. A journey from his early years as the only child at Musketeer Mine, through his move to northeast Vancouver where he attended school and entered University. Earning a PhD in Anthropology, and subsequent fieldwork in Northern Quebec constitute his formal schooling, but it was Knight's travels--upcoast as a youth, trips to Berlin, Nigeria, New York and Colombia--that shaped his politics and views. 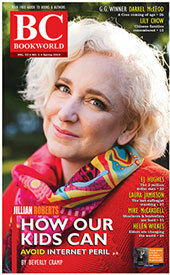 New Star Books, as the foremost exponent of counter-cultural literature in B.C. during the 1970s and '80s, remains a small, gallant press, having recently survived a fire on its premises. Occasionally it honours its socialist origins, before government grants, when political change seemed viable. Rolf Knight's engaging autobiography Voyage Through the Past Century (New Star $24) is a much-improved version of an earlier privately published memoir that dignifies Knight's lifelong political disaffection by curbing his penchant for rants. It goes a long way to validate Knight's inclusion in Alan Twigg's survey of B.C. literature, The Essentials, 150 Great B.C. Books and Authors. Knight can be deemed an "essential"; in B.C. letters because he has been the province's foremost working class intellectual author. Renouncing cozy university life, Knight has produced ten important but seldom-heralded books, including his classic Indians at Work, the first study to assert and document the integral and widespread role of First Nations' labour in B.C. There's still fire in his belly. "Whereas Canada once seemed capable of maintaining an independent stance in the world,"; he proclaims, "since the end of the Trudeau era our nation has progressively become a Quisling-led bum boy to the Americans. "The provision of oil and other resources, the emergence of unchecked free trade, the provision of Canadian soldiers for American adventures abroad have become almost automatic for Canadian governments. Born in Vancouver in 1936, the son of an itinerant cook, Knight grew up in B.C. logging camps, mining camps and East Vancouver. He later engaged in bouts of wanderlust, including a first-time love affair in Nigeria in 1957-'58 with a local woman who spoke Yoruba, Hausa and Lagos pidgin English. She was eighteen; he was twenty-one. Knight gained his M.A. in anthropology at UBC in 1962, and a Ph.D. from Columbia University in 1968. His career path changed when he collaborated with his Berlin-born mother for A Very Ordinary Life (1974), tracing her difficult life from Germany to goldpanning in Lillooet and hardscrabble work in camps. After its release, Knight left his university teaching career, repulsed by the narrowness of his fellow academics and the ignorance of his students. While his wife held down a steady job at SFU (not mentioned), Knight grudgingly drove a MacLure's taxi in Vancouver, simultaneously producing a string of books that show the complexity of working class people, particularly migrants workers like his father and mother. "In retrospect,"; he concludes, "it would seem that writing was the single endeavor which I ever found to be truly fulfilling and through which I ever contributed anything worthwhile. Not prone to self-revelation, Knight mentions, in just one sentence, that he watched his father's last wrestling match at Exhibition Gardens when his father was forty-eight years of age. No context, no details. The narrative realm is more sociological than psychological. At age fourteen, Rolf Knight got his first job as a mess boy and baggage handler on a small coastal passenger-freight boat, Gulf Wing, by faking his age. At fifteen, he worked for a BC Forest Service crew in Kamloops building some of the first roadside campsites in B.C. Although he appreciated attending Britannia High School in East Vancouver because it lacked rah-rah school spirit, he was largely self-educated at the Carnegie Library on Hastings where he could read novels by John Steinbeck, or teach himself about Mexican history, the Spanish Civil War, the Wobblies (Industrial Workers of the World) and socialism. In 1952, at sixteen, American border officials stymied his efforts to reach Mexico. He reached the border town of Nogales but returned to Kitimat. In 1953, he took buses across the northern U.S. to board one of the oldest passenger ships sailing to Europe, buying a dormitory class ticket from Quebec City to Bremerhaven. He flew to New York and bussed back to Vancouver. Two weeks later, at eighteen, he was on a skeleton crew reopening the La Joie construction camp at Bridge River where, by the 1950s, only the Bralorne and Pioneer mines remained. In late 1954 he left Bridge River to attend the University of British Columbia when less than five per cent of working class children went to college. In retrospect, Knight now sees how much The Fearful Fifties-as the independent newspaperman I.F. Stone once dubbed that decade-had infused even remote UBC as another bastion for Cold War scholarship. Knight's retrospective commentaries about universities in general frequently give rise some of his most insightful and lively writing. He supported himself with menial jobs, including a stint the old BC Sugar Refinery factory on Powell Street ("It turned out to be the worst, the most mindless and exhausting bull labour I ever did in my life. The plant was straight out of the nineteenth century. ";) and a job at Western Fish Oil, a fish processing plant beside LaPointe Pier ("The worst task was emptying out the five-gallon tins of half-rotted dogfish livers....";). As a Vancouver Parks Board labourer he helped pack rocks for a new seawall being built around Stanley Park. All these jobs provided incentive for Knight to apply for an exchange student scholarship from the World University Service in 1957-to study in Nigeria. The Bight of Benin couldn't be much worse than the Rogers Sugar factory, even if he had to pay his own fare there and back. More labouring jobs ensued, this time in Fort St. John and the Peace River country, as well as a torrid love affair in California. He met beatniks and hitchhiked into Mexico, then shuffled back and forth between Berkeley and UBC where eminence gris anthropologist Cyril Belshaw told Knight he was unfit to pursue a Ph.D. In the spring of 1961 Knight made his first visit to Chicago where he participated in a small and cautious peace demonstration. Several hundred protestors were threatened with violence and vilified. "It was the closest thing I've ever seen to a lynch mob,"; he writes. Knight undertook his first real anthropological field work in two Cree communities east of James Bay for the National Museum of Canada between the spring of 1961 and the fall of 1962. He later worked for the Department of National Affairs studying a so-called "model village"; built for an Ojibwa band on Wunnimin Lake in northwestern Ontario. All of which led him to pursue his doctorate at Columbia University. It helped that he fell in love, twice. First there was Jane, a native Manhattanite, in her late thirties, with two children. She was a fellow anthropology student at Columbia, the most fulfilling university he has known. "All major American universities have sinister elements,"; he writes. "So do most Canadian ones. "; But the air was electric with the rise of Black Power and the civil rights movement. Change was afoot, along with a rising tide of Bohemianism. And then there was Vivian, a "red diaper baby,"; someone reared with Jewish Communist beliefs. Their five-year relationship further broadened Knight's political education, far beyond the realms of Cyril Belshaw's UBC cloister, acquainting him with pogroms in Ukraine and Yiddish history. Before returning to Canada in 1968, Knight specialized in Latin America anthropology for his doctoral work, making two field trips to a sugarcane workers' hamlet in the Cauca Valley of southern Colombia. He spent nine months in a semitropical highland valley of the Andes, leading to a 30-page account-from Columbia to Colombia-that rivals his Nigerian memoir for depth. Rolf Knight successfully defended his dissertation in the spring of 1968, landing his first teaching job at the University of Manitoba at age thirty-two. Winnipeg was uninspiring but hugely significant. It was where he met his wife, Carol, who had grown up on a northern Manitoba farm. Like George Woodcock's wife, Ingeborg, who sternly told her husband NOT to write about her in his memoirs, the much younger Carol forbade Knight from describing their still-surviving marriage in Voyage Through the Past Century. Instead, Knight gives us two stanzas. If you've got some cash in your purse. 'Cuz no matter what happens she's seen worse. Carol has been the most important person in Rolf Knight's life ever since they met. After Knight turned his back on lucrative teaching jobs at both Simon Fraser University and University of Toronto, leaving U. of T. in 1977, it was Carol who helped him do much of the typesetting and layout for his first six books with New Star. Knight's autobiography contains a ten-page recollection of how and why professors were purged from the allegedly radical Political Science, Sociology and Anthropology department at SFU in 1970, but he devotes only six pages to "the single endeavor which I ever found to be truly fulfilling and through which I ever contributed anything worthwhile";-his literary output. We can only conjecture as to why someone who so obviously takes himself very seriously as a social commentator, as an anthropologist, and as an advocate for socialism, gives his considerable contributions to B.C. literature short shrift. Does lack of recognition for his writing somehow validate his worth? Does he thrive on gnarly obscurity? 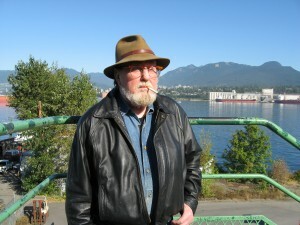 In addition to his mother's story, Rolf Knight also wrote or co-authored Work Camps and Company Towns in Canada and the United States (1975), A Man of Our Times: A Life-History of a Japanese-Canadian Fisherman (1976), Stump Ranch Chronicles and Other Narratives (1977), Along the No. 20 Line: Reminiscences of the Vancouver Waterfront (1980), Traces of Magma: An Annotated Bibliography of Left Literature (1983), Voyage Through the Mid-Century (1988) and Homer Stevens: A Life in Fishing (1992). A Very Ordinary Life went through three printings and sold some eight thousand copies. He approached twenty-seven publishers with the manuscript before he brought it to Barb Coward and Steve Garrod at New Star, from which he did not receive royalties (according to his account). Stump Ranch Chronicles similarly tells the survival stories of ranchers Arnt Arntzen and Eve Koeppen; and A Man of Our Times recollects the life of an eighty-nine-year-old Issei fisherman, union organizer and newspaper editor, Ryuichi Yoshida. His Studs Terkel-like Along the No. 20 Line contains reminiscences of the Vancouver industrial waterfront in the late 1940s. Indians at Work is backed by 800 citations from 300 sources, but it didn't receive any reviews from Canadian history journals. Even more remarkable was Knight's bibliographic survey of left wing novels from around the world, (the unfortunately titled) Traces of Magma, which contains annotated references to three thousand books by fifteen hundred writers from ninety countries. Again, hardly anybody noticed. Even socialists couldn't care less. Knight self-published his massive survey of leftist novels with his own imprint, Draegerman Books. That term Draegerman refers rescue teams which went underground to bring out the living and the dead after mining disasters. Any discerning reader of Knight's uneven but fascinating Voyage Through the Past: A Memoir will hope some literary draegermen will now rescue Rolf Knight from the bowels of cantankerous obscurity, according him the respect and credit he deserves. Books and reading have always been important to me. Along with playing around the docks and rail lines of East Vancouver I voraciously read titles by Max Nomad, George Orwell, Theodore Plievier, Upton Sinclair and hundreds of other authors whose names I have now forgotten. I lugged home packsacks of books by the hundreds from the old Vancouver Public Library at the corner of Hastings and Main. I now would like to thank the librarians of that institution for the wide and varied fund of human knowledge they preserved and presented to us. It really was the fundamental school of my childhood and youth. It was a major center of my town. Down near the Rex cinema and the White Lunch, which I'd also hit if I had any cash. A little of this is preserved in my own accounts of the region. It was an important part of working class Vancouver then. I certainly didn't think that so much of my life would be taken up by writing. In fact until well after I'd taken a PhD from Columbia University I looked up at most writers, at least those I appreciated, and thought that producing a book was a marvelous endeavor, something that probably was beyond me. My first volume was a life history of my mother. Something that I knew would trigger snotty commentaries of undergraduate Freudians and their ilk. It sort of surprised me, the amount of appreciative and sometimes insightful commentary it generated. Even the ingrained anti-German racism it attracted was minimal. After more than thirty years of writing it's still one of the best of my books, A Very Ordinary Life. Ruichi Yoshida's A Man of Our Times is the life history of an 89 year old Japanese Issei-Canadian who came to British Columbia in 1910 and who worked as a logger and fisherman most of his life. Although he once had a certain fluency in English, over the years he had returned to using Japanese so I had to address my questions and translate his replies through a speaker of that language. My use of Maya Koizumi in that role proved to be a fortunate one since she could translate what I was trying to get at both fluently and incisively. We interviewed Yoshida and his wife in their home in the Kootenay's over the course of a week and then went off to work up the material gathered. A Man of Our Times proved to be a moving endeavor. And despite Yoshida's initial qualms it proved to be a fairly accurate account of his life and times. It did not, however, find favor with those who find every member of every distinguishable cultural group as conveying some unique view of the world. Yoshida was a socialist and a leading figure in the Japanese Labour Union and as such did not cater to those eager to find unique cultural views in every distinguishable group. It was an honor to work with him. He died shortly after the book came out but not before he could send copies of it to his remaining friends and associates. Work Camps and Company Towns in Canada and the U.S. is a select bibliography of that topic while Stump Ranch Chronicles was a brief life history of two men, both of whom I knew personally, who had emigrated to Canada and who worked on and established themselves on stump ranches in western Canada from 1910 and on. In a sense, it was a giving back to what had been offered me as a child. Traces of Magma was a very different kettle of fish from my earlier books. It is an annotated bibliography of select left wing novels from around the world during the twentieth century. The amount of work and research that went into it was absolutely phenomenal. It lists some three thousand odd titles from the Soviet Union to Guatemala and reaches far wider than socialist realist works. It took me three years of research, sometimes working twelve hours a day, to dig up the material. It was a hell of a task, but apparently no one except me wanted it. I finally wound up printing some five hundred copies under the imprint of Dragerman Books. But no one reviewed it or felt it necessary to refer to it. With that I almost stopped writing. However, I didn't. Instead I wrote something called Indians at Work, An informal history of Native Indian labour in British Columbia, 1858-1930. That was a topic I had been collecting material on for ten years. It also took me about three years to research to write it up. It attempts to weave together scholarly accounts with autobiographies and life histories and deals with various phases of BC history but it is about the history of native workers. It was about the only one of my books which received serious mention, and for a few tears had some impact on those writing about native people in this province. Following that I turned out something entitled Along the No. 20 Line, an account of the street car line running along the Vancouver water front between 1913 and 1945. About one half of it presents my account of people, sights, sounds, aromas and places you'd meet on the trip along the Vancouver industrial water front from Hastings Park to Hastings and Granville in mid 1945, the year the line closed down. It contains mini life histories of ten people then living or working along the No. 20 line in the 1930s and 1940s. In 1998 I turned out a life history of fishermen's union leader Homer Stevens (Homer Stevens: A life in fishing). It was a difficult work to produce. But finally I turned out an autobiography which was acceptable to both of us. My final published work is a book entitled Voyage Through the Past Century. It is a kind of autobiography but one in which most chapters are divided into sections called archives which are intended to be more or less objective accounts of the times and places dealt with (coastal logging and construction camps in the 1940s to colonial Nigeria in the 1960s to New York and Columbia University in the later '60s, etc.) and a more subjective account dealing with my personal involvement with them. That didn't turn out as well as I'd hoped. But still I'm happy to claim the work as mine. It runs from early 1940s to the end of the twentieth century. A century I'm proud to have been a part of. Well, that's about it. So long for now.